Oxford Film Festival folks are heading in all directions this weekend as we hit up several great festivals. 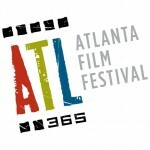 Co-director Michelle Emanuel will be visiting Atlanta Film Festival for the weekend where she hopes to run into several great Oxford Film Festival alumni, including Michael Pertnoy with "The Last Survivor," and Jennifer Maas and Michelle Witten of "Wheedle's Groove," as well as Tate English of "The Ballad of Friday and June." Co-Director Melanie Addington is en route today to the Kansas City Film Festival where she is serving as a feature juror and panelist on the Film Festival Strategies panel on Saturday morning. 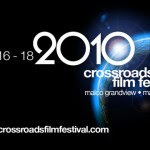 Hospitality staff members Katherine Fields and Johnny McPhail are heading down to Crossroads Film Festival to support our Mississippi cousin festival and Oxford Film Festival alumni Mary Warner of "Thacker Mountain Radio: The Documentary," and Tom Huckabee and gang of "Carried Away." If you are in town for any of the fests, please say hello!